1. 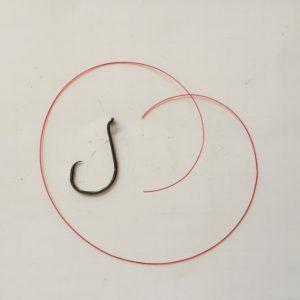 Cut your desired length of line for the snell. 2. Push the line through the eye toward the point. 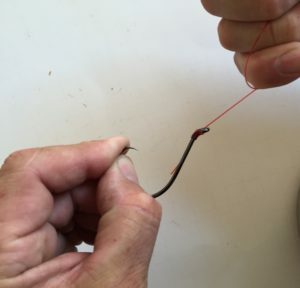 make this about as long as the hook shank. 3. 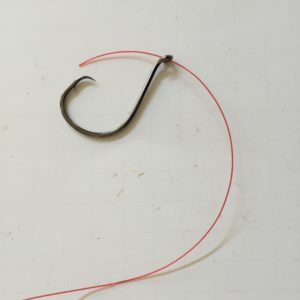 Wrap the long section of line around both the hook shank and the short length of line about eight times. 4. 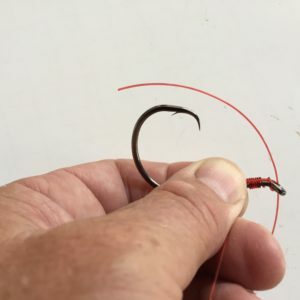 Pinch the line wraps to hold them in place and push the end of the long section of line through the eye toward the hook point. 5. Snug the wraps up toward the eye. 6. 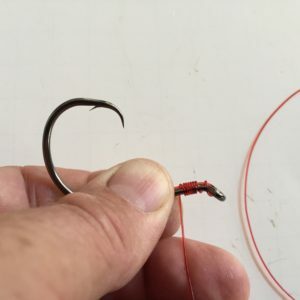 Moisten the knot and pull the long section of line hard to set the snell.